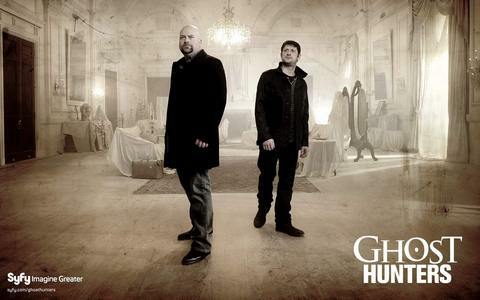 Would You Ever Ghost Hunt? What's the most haunted location investigated por TAPS? Do you like having Kris Williams on the team? The fans pick: Yes! She is awesome! How many people do you think watch the show a week? Kris Williams was named the 100th ranked Sexiest Woman Alive por Smartasses.Net on Thursday, March 17th 2011, when the online men's magazine revealed their everpopular who's who of the hottest women on the planet. 2011 marked the sixth annual ano for the increasingly popular Smartasses topo, início 100 Sexiest Women List, which comes out every St. Patrick's Day, to coincide with March Madness. For Williams, it was her segundo ano on the list. Last ano she was ranked 82nd. For more, visit Smartasses.Net. First I am a fã of these shows even though as you read this you will pergunta that. They spend a great deal of money and are called por some experts but they use highly questionable methods in almost every case. First, who is Kris Williams? Is she just a publicity thing from SciFi? Cuz check it,link she has a imdb page that lists her atuação credits. So is she really on the team because she is interested in the paranormal or is it because she wants the attention to further her minimal career??? What rock estrela went on a ghost hunt with the team?